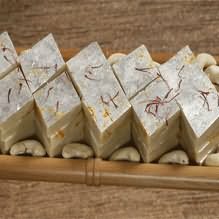 Ingredients : Gram Flour , Pure Ghee , Sugar , dry fruits etc. 100 % fresh boondi , no preservatives , natural color used. Boondi is a Rajasthani snack food made from sweetened, fried gram flour with jaggery. 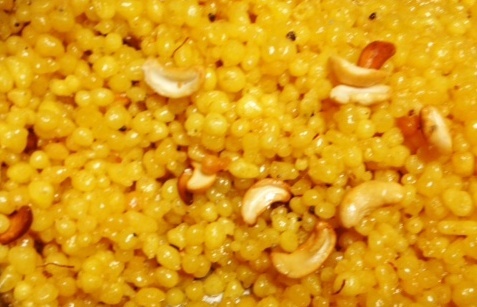 Boondi is a yummy snack time traditional desert which is favorite of all. The juicy inside and grainy outside boondhis really takes you to another world of flavors . Enjoy the juicy yet colorful boondi’s ! Smells divinely as we add cloves and edible camphor. Boondhi by itself with sugar syrup gives a great flavor! Enjoy your Occasions by sending these colorful Boondi’s , We parcel it beautifully and gift to your near and dear ones. Although, it can be refrigerated and preserved for longer times, Boondi’s is best tasted when consumed within the 6-9 days . Ratlami Tadka server this at your door step between 2-5 days. 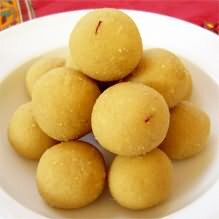 Quickly order now your own box of these yummy snack time sweet Boondi’s.